We usually think about time as the limiting resource each day. We never seem to have enough time! However, we can use the time that we have more effectively if we learn to manage another valuable and limited resource – emotional energy. How many times do you fall into the over-stuffed chair at the end of the day and spend precious moments watching whatever is on TV because you feel too tired to do anything else? We only have so much of ourselves to give each day. 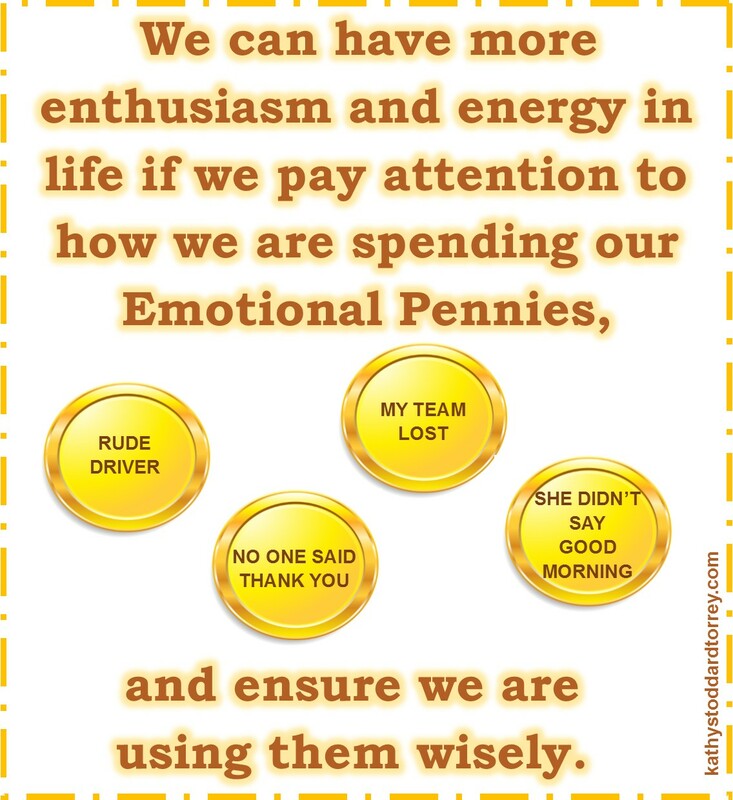 Think of the emotional energy that you spend each day as Emotional Pennies. Imagine that you start each day with 100 Emotional Pennies. You can’t carry any over to the next day and the goal is to end up with as many Emotional Pennies as possible at the end of each day. The more pennies you have at the end of the day, the more energy you will have to enjoy your evenings. Some common things that we all spend emotional energy on are: work, family, health, other people’s problems, spirituality, friends, and things over which we have no control. Your list may not have all of these items and probably has quite a few more. Which of these are wise investments and which are wastes of our Emotional Pennies? The first step in limiting our unnecessary expenditures of emotional energy is to pay attention to how we are spending our Emotional Pennies. In everyday life, we want to invest our emotional energy in things we enjoy, people we love, and situations that we can change for the better. A good test question to ask is: “If I face this situation and invest some emotional energy into it, can I resolve it so I never have to put another Emotional Penny into it again?” If the answer is yes, go for it! Break off the relationship, improve the situation and/or release that old resentment! It took me awhile, but I finally realized that I couldn’t change the situation. My options were to continue spending almost all of my 100 pennies at the school each day or to get us all out of that particular situation. In the end, I homeschooled Andrew for the rest of that school year and none of us ever regretted leaving that penny-sucking, black hole behind. It’s easiest to explain with an example. Let’s say that when you were young, you loved to draw, but one day someone told you that your elephant looked like a rock with a garden hose attached to it. First, it hurt your feelings. Then you internalized the event by thinking that you were not a good artist and that you couldn’t draw. We don’t like having our feelings hurt so you decided to avoid being hurt by not drawing ever again. Lack of drawing skill is a common childhood belief brought into adulthood as is “I can’t dance, sing, and/or write.” It takes time to learn those skills. We know that as adults, but as kids we just decide we are not talented after our first attempts and it’s better not to try. Comments made to us in childhood can also affect our self-image for good or for bad. My Mom was usually very kind about my looks so I have a good self-image around my appearance. When she brushed my hair she said that it looked like spun gold. As a consequence, I like my hair and resist all of my hair stylist’s attempts to get me to color it. It’s great to hold on to the childhood beliefs that serve us in adulthood. If you decided back then that you were smart, handsome, creative, tenacious, determined or lovable, keep those! However, my Mom also once made a passing comment about my having big ears. If you’ve watched my video on this topic (link here: https://www.youtube.com/watch?v=j3-c3fZdAL4), you have seen that my ears aren’t huge, but I was self-conscious about them for a very long time. It wasn’t until high school that someone else told me emphatically that I did not have big ears. I was close enough to adult status to take in the comment with a little maturity and realize that Mom may have been kidding or just having a bad day. I am now at peace with my ears. 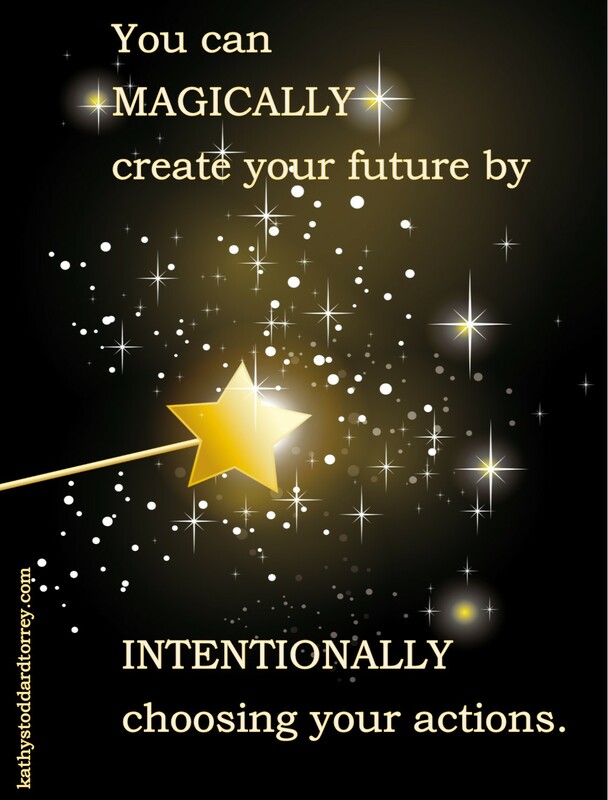 The beliefs can be big or small – anything from your ability to dance to your ability to have successful relationships. Your Little Self inside still feels the emotions attached to the experience strongly so take your Little Self by the hand and walk up to the belief and look at it from an adult perspective. Decide that you can learn to draw and that you are not doomed to failed relationships. Analyze what happened through the lens of adult maturity. It often doesn’t look near as big, scary, intimidating or meaningful. 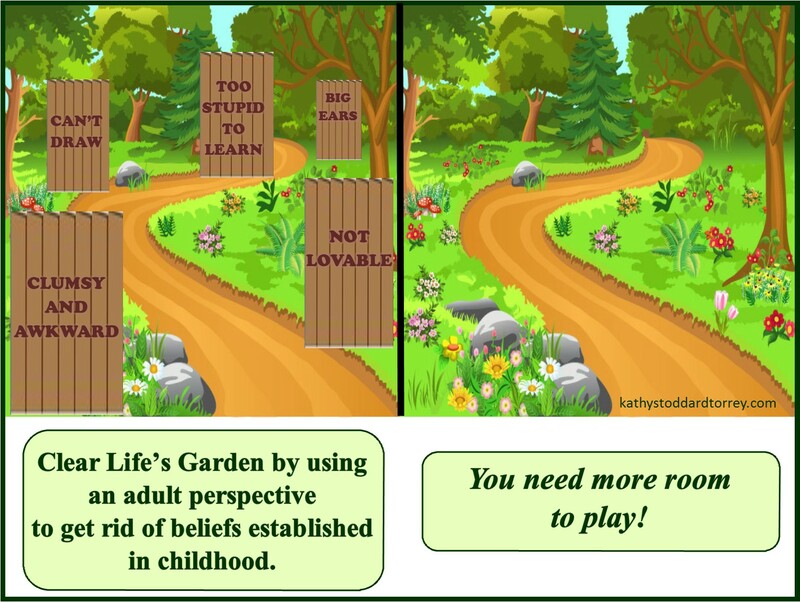 Clearing out those unhelpful childhood beliefs can be very freeing. If we think of our lives as a garden, when we are born it is open with lots of space. We start having some negative experiences and fence off parts of our garden and declare them off-limits. “I’m not going to draw anymore,” “I will wear my hair over my ears always,” and “I can’t dance” become things we say to ourselves over and over again. We believe them without conscious thought or question. By stepping up to the fenced-off area and peering into it as an adult, we can see the experience from a different perspective and decide not to let it limit us anymore. We take down the fence and free up that space! We can try to draw and see if we like it. We can wear our hair short and show off our ears. We can dance to our heart’s content. The more fenced-off areas we clear, the more room we have to live and play! So grab your Little Self by the hand, clear some fences, and dance together – you’ll have lots of space.